Located on pristine Dover Beach where the Caribbean Sea meets the Atlantic and endless sunshine is accompanied by gentle ocean breezes, Sandals Barbados invites you to surrender to the calypso rhythms of paradise. Make the most of the prime beachfront location and spend your days with sand between your toes or learn how to kayak and scuba dive in the azure blue waters. Get lost in the lush gardens that surround the hotel. After a busy day, indulge in a relaxing treatment at the spa. Experience gourmet dining at an impressive variety of bars and restaurants before returning to your exceptional accommodation for the night. Immerse yourself in stylish luxury suites featuring swim-up pools and first-class amenities. 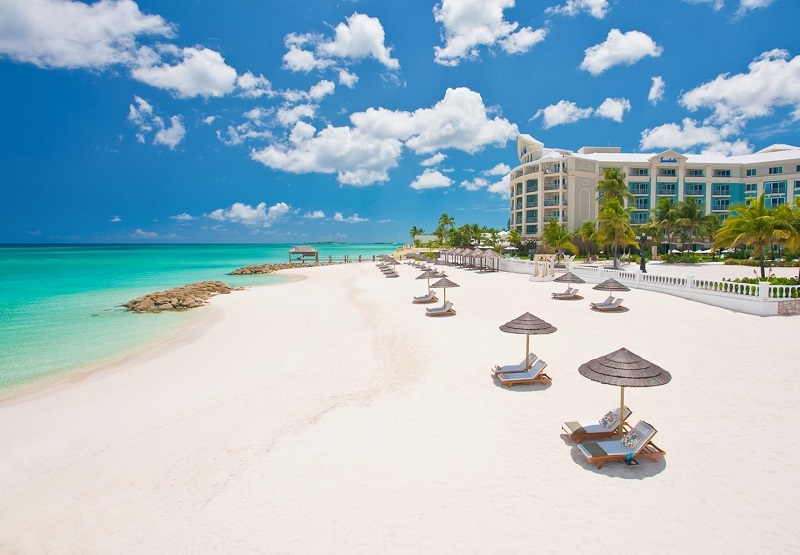 Sandals Barbados provides the perfect idyllic backdrop for a romantic getaway. 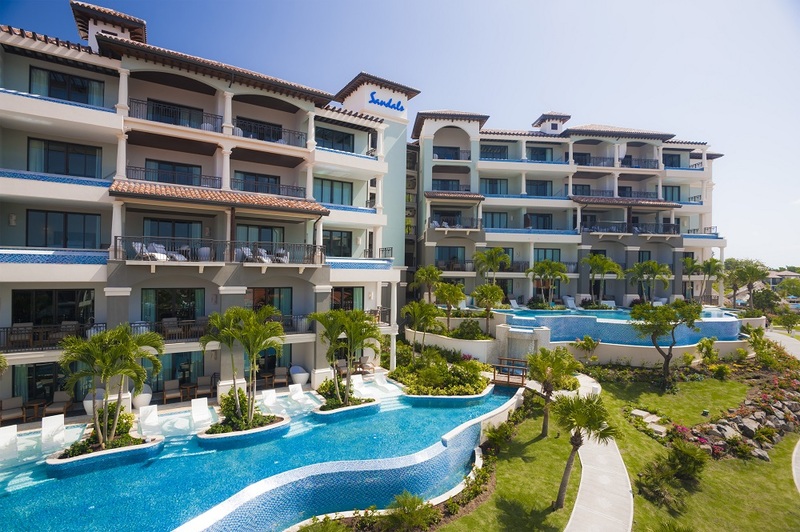 Sandals Barbados features: three swimming pools, two whirlpools, eleven restaurants, seven bars incl. a swim-up bar, Red Lane® Spa (treatments extra), shopping boutiques, fire pits, exclusive Club Sandals and Departure Lounges, unlimited land and water sports including scuba diving, complimentary non-stop round-trip airport transfers, and complimentary Wi-Fi in all rooms and public areas. Dine at eleven concept restaurants serving a variety of worldwide cuisine. Sample the finest meats at Butch's Chophouse, enjoy authentic Indian dishes at Bombay Club, or discover a taste of France at Cafe de Paris. You can also dine your way around the world at Dino's Pizzeria, Kimono's Oriental Cuisine, Portofino's Italian Restaurant & Bar, Schooners Seafood Grill, Soy Sushi Bar, Bayside Restaurant, and The Mariner Seaside Bar & Grill. The Merry Monkey English Pub is the place for traditional English fare and drinks. For a truly unique dining experience, book a private candlelit dinner on the beach. Unlimited premium spirits, Robert Mondavi wines and Blue Mountain coffee are available with meals and also in the seven full-service bars and swim-up pool bar. Nightly entertainment features a resident live band, cabaret shows, white parties, chocolate buffet nights, staff talent shows, carnival beach parties, and the Manager's Cocktail Party. Sandals Barbados offers plentiful activities in the water or on dry land. And of course everything is included in your holiday - even unlimited scuba diving. Take to the water on a kayak or discover underwater delights by glass bottom boat. Relax in the three pools or two whirlpools or indulge in pampering treatments in Red Lane Spa. Play board games, hit the treadmill in the fitness centre, or choose your partner for a fun game of table tennis. This luxury resort has a total of 280 rooms and suites. The Caribbean Village Deluxe DL rooms are located on the first and second floors of the Caribbean Village. The rooms have balcony or patio, en-suite bathroom, four-poster king-size bed, HD Smart cable TV, air-conditioning, ceiling fan, fridge with water, juice and sodas, bath robes, telephone, iron and ironing board, hairdryer, safe, iPod dock with alarm clock, complimentary Wi-Fi, and tea and coffee maker.